HÀ NỘI — Viettel Group’s online charging service called vOCS 3.0 won the gold winner for best new product or service of the year in telecommunications. The award was granted by International Business Stevie Awards in London on Sunday. 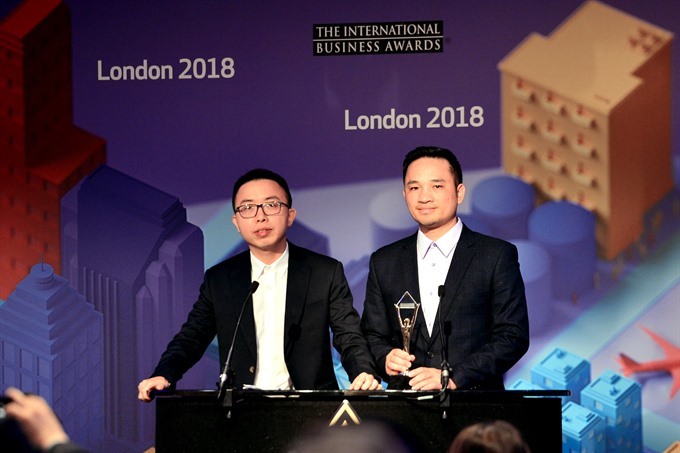 vOCS 3.0 was the only Vietnamese winner of the award, which was also bestowed upon Ooredoo (Qatar) for fastest 5G service in the world, Singtel (Singapore) for the Singtel Shop Comcentre flagship store transformation and Telkom (Indonesia) for the Vessel Information System Mobile App. The Viettel product was praised for its creativity and impact on a large number of users as it can be individualised for each customer. Currently, vOCS 3.0 is used in 11 countries in which Viettel is operating. The most distinctive feature of vOCS 3.0 is the ability to design for each customer a tariff package, which no other online charging service in the world can do. Clara Im, Communications Manager – Asia, The Stevie Awards, said the vOCS 3.0 shows the insight of researchers and product developers, and the ability to address the reservations of data service providers to integrate voice and data on a real-time billing system. For the next version of the service, Viettel plans to support Mobile Virtual Network Operator, Network Slicing and be ready to bill tariffs for Internet of Thigns and 5G subscribers. With the 4.0 version, Việt Nam would become one of few OCS producing countries supporting virtualisation technology, helping save costs and opening new business opportunities. Meanwhile, TH Milk Joint Stock Company gained three awards at the International Business Stevie Awards. They included Thái Hương, founder of TH Milk, winning Entrepreneur of the Year – Food & Beverage, while TH Milk won bronze in the Customer Service Department of the Year – All Other Industries and its TH true NUT, a milk product, won the bronze for Best New Product or Service of the Year – Consumer Products. The annual International Business Stevie Awards have been held since 2003, aiming to the achievements of businesses and individuals worldwide to the community including ICT and telecom sectors.